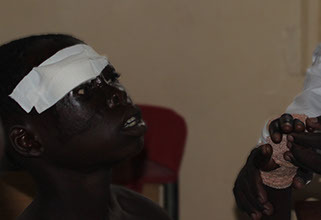 Ogwal Isaac, 12 from Agago District is wounded at a tender age. But throughout the course of his life, he is to undergo a lot of stigma and torture owing to his maimed nature. 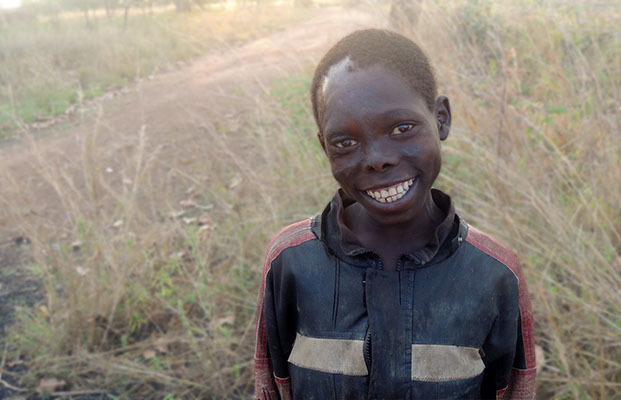 Isaac, like many of his friends, relatives and village mates are victims to the two decade conflict of the LRA rebellion in Uganda, in which period, the greater north of the country suffered atrocities and gross human rights offenses. A medical rehabilitation program implemented by AYINET, a war-victims centered human rights organization, offered Isaac an opportunity that inspired him to make helping others, like himself, a lifetime ambition. In 2003 in a village known as Odokoker in Agago district, Isaac is only One and a half years old safely tucked away, breastfeeding in their home; a grass thatched hut in a triad of other similar huts, when the LRA rebels attacked. “They (the rebels) ordered them to catch the pigs that where roaming around and killed them, extracted only the fat, threw on the grass thatched house and forced all women captured into the hut in which Isaac and his mum were in, after which they lit the house.” narrates Nyanga Denis, Isaac’s caretaker who luckily survived on that fateful day by hiding in a nearby bush. The pigs thrown on the huts were to be forcefully served to the civilian captives they were taking. After a while of battering these captives with some of the women in the burning hut already dead, bullets are fired at men trying to escape and were killed. It is after that gun shot that the UPDF (Uganda Peoples’ Defence Forces) come to their rescue. For Isaac, even though he is still alive from the flames of the burning hut, his face is burnt with hot ash falling from the roof and hands severely burnt from crawling and holding onto burning wood. “When at school my class mates always called me names like ‘wangi obedo agwacha,’ (a lango phrase translated as, your eyes look like pasted greens in peanut butter) yet they used to pain a lot. With a lot of tears and anger, I could look for a stone to throw at those who called me bad names.” Isaac narrates. In October 2015, Isaac Ogwal was identified and selected by AYINET (African Youth Initiative Network) to be a repair surgery recipient in a Medical and Psychosocial rehabilitation program funded by the DGF (The Democratic Governance Facility). The program seeks to provide physical and psychosocial healing to victims of war as a core need in achieving and promoting justice, lasting peace and reconciliation in the post conflict communities of the great northern Uganda. After successful facial and hand surgeries, Isaac is now recovered. He is able to see well and play with all his friends without worrying about being called bad names.